IGT will now protect your family & Home. 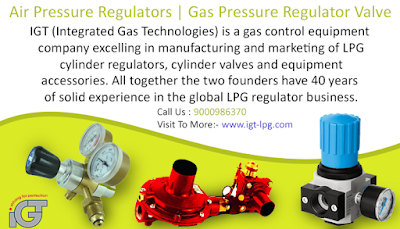 Integrated Gas Technologies Pvt. Ltd. - Manufacturers of Pressure Regulators, Air Pressure Regulators and Gas Regulators in Hyderabad, Telangana.